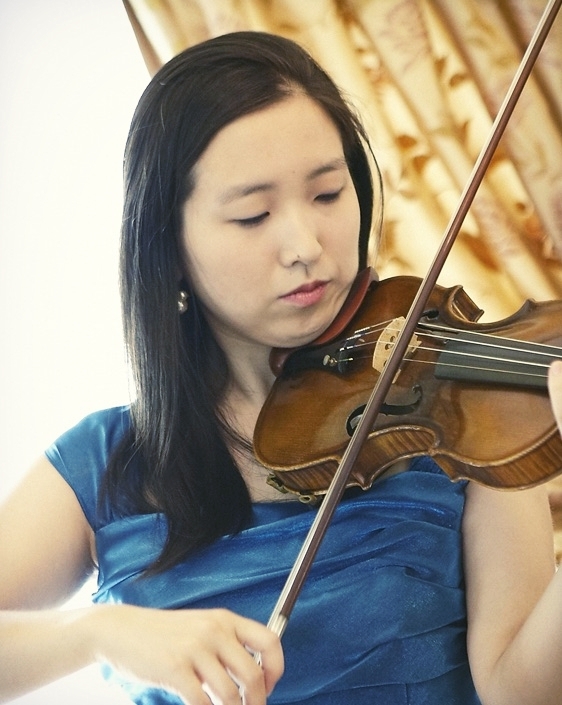 Born in Japan, violinist Akiko Hosoi has had an international career from an early age. While attending the Purcell School of Music in London under the British Government Music and Ballet Scholarship, she performed throughout the country, as well as toured throughout Malta, Russia, Japan, and Finland, and as a third-prize winner in the 4th Uralsk International Violin Competition in Kazakhstan, she performed with the West Kazakhstan Philharmonic Orchestra. She then moved to the USA and enrolled in the Cleveland Institute of Music and then The Juilliard School, under the tutelage of Ronald Copes, a member of the Juilliard String Quartet. Her previous teachers include Kazuki Sawa, Maurice Hasson, Lydia Mordkovitch and David Cerone. Currently residing in New York City, Akiko enjoys an extensive performing freelance career. Aside from being a member of the New Haven Symphony Orchestra and Stamford Symphony Orchestra, she regularly performs chamber music with musicians in NYC as well as solo recitals annually in Tokyo. As an orchestral player, she has worked with many prestigious conductors such as Herbert Blomstedt, James Levine, Fabio Luisi and Kurt Masur.